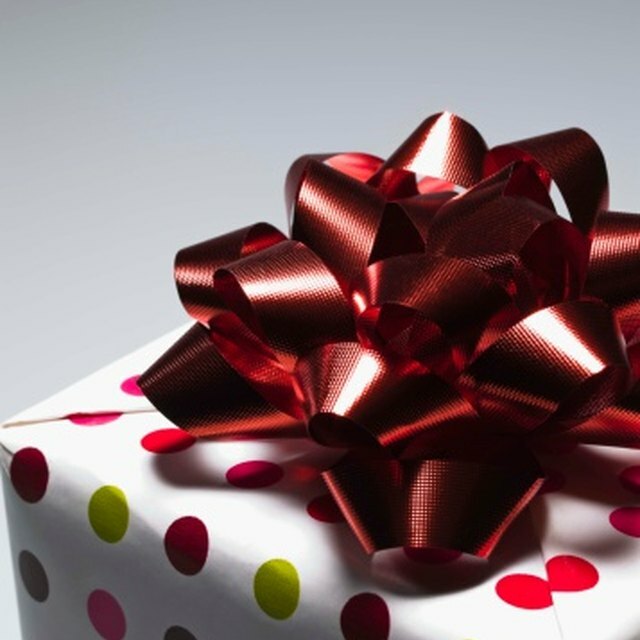 Gifts for golfers don't have to cost a lot of money. 2 What Do I Get My Boyfriend of Two Months for His Birthday? Golf can be an expensive hobby. For a gift-giver, finding affordable gifts for the special golfer in her life can be intimidating and difficult. Instead of searching for the perfect gift for golfers in a store, try using your imagination to create a one-of-a-kind, homemade gift. Fix some homemade golf-themed, edible treats to refresh your special golfer while he's on the links. Bake a golf ball cake; a simple vanilla cake with plain white frosting (use a pen cap to add the indentations) is quick and easy. Fashion a flag from a toothpick and piece of red ribbon, then stick it in the center of the cake. Or, buy golf-themed cookie cutters and food coloring and make a batch of cookies in different golf shapes -- such as a club, tee or flag. Ask for your special golfer's unwanted golf magazines. Peruse them and cut out pictures of the recipient's favorite golfers. Use tape to arrange them in a collage and laminate it. Place it in an inexpensive frame. Make a golf-themed lamp shade. Or, find a picture of your golfer in full gear on the links, then use photo-editing software and digitally insert him into a picture with a famous golfer. Print it and frame it for him. Stitch her a blanket in her favorite colors with various golf scenes; for example, a famous course or faces of well-known golfers. Use tartan plaid or an argyle knit to create traditional but one-of-a-kind golf club head covers. You could also find a couple of gently used kitchen hand towels, stitch your golfer's initials onto the corner, sew a buttonhole and give them as golf towels. Or, use plastic mesh to cross-stitch golf bag tags. Many golfers need storage for balls and tees when not in use, so use sturdy tartan to stitch a few drawstring storage bags. Add your golfer's name or initials to personalize them. Get a metal garden bucket and use an old broomstick handle and red cloth to create a golf flag replica. Place a variety of small golf gifts, such as tees, balls, markers, a cup for putting practice, water bottle and an issue of a golfing magazine. Create a golf gift coupon book. Include a "coupon" for accompanying your golfer to the links and driving the golf cart, 18 holes on you and money to spend at the pro shop. Or, find a flat, sturdy bathroom mat. Cover it with green felt and glue it to several pieces of cardboard to raise it a few inches. Cut a hole through one corner. Beside the hole, attach a "flag" fashioned from a toothpick and a piece of ribbon. When your golfer adds her putter, she's got an at-home practice putting green. What Is a Good Gift for My Boyfriend Who's a Hockey Goalie?